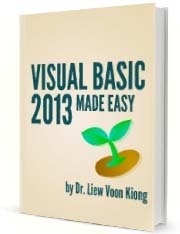 Visual Basic 2013 Made Easy is written by the webmaster of our Visual Basic Tutorial, Dr.Liew. 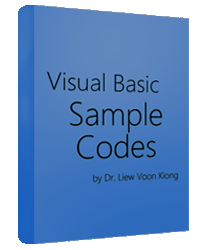 With 212 pages of contents, it provides a complete tutorial for beginners in mastering Visual Basic 2013 programming. 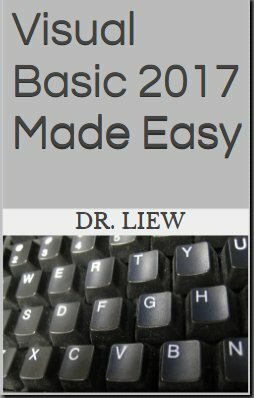 We have added some new content recently that includes drawing a quadratic curve, drawing a sine curve , how to deploy your applications and more.